Happy New Year everybody! I am starting the year with a project that will soon celebrate its first year. In A Portrait of the Artist, my PhD of a husband and I pair up to interview extraordinary eco-friendly artists from around the world. We aim to show their devotion to living a green and conscious life, as well as to share some behind the scenes moments of their creative process. Today I am excited that the first interview in the series for 2012 is with a dear blogging and Etsy friend who is not only masterfully crafting jewelry but is also amazingly good in motivating others. Please, meet Valerie William - the brain and working hands behind Additions. 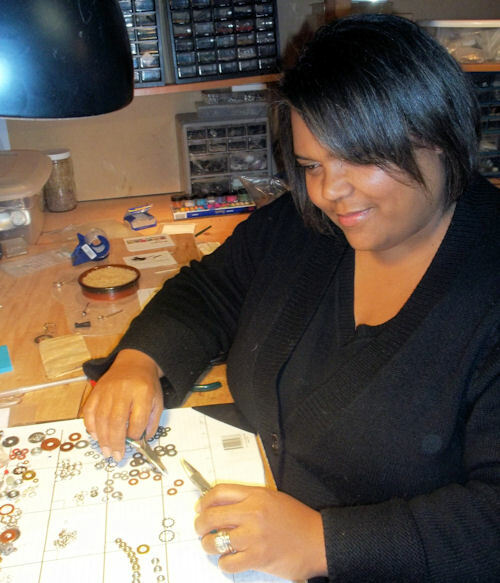 When I first learned that her impressive jewelry designs are in fact made out of hardware parts I was stunned. I couldn't have guessed it in a million years! The amazing creativity that I am able to witness in Valerie's shop and on the pages of her blog is what has turned me into a fan forever. 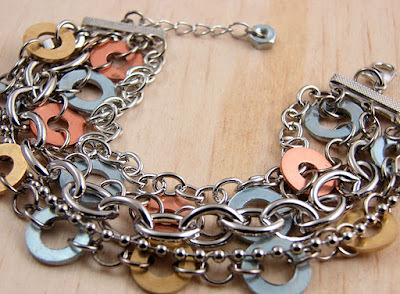 For a fresh start of 2012 I recommend you to read what she has to say about upcycling, how she transitioned from silver to hardware for her jewelry and I am sure you will get energized and inspired! You have rich experience in silver jewelry making. Tell us how you switched to using hardware for your creations. I love making sterling silver jewelry. I have been creating, teaching, and learning about jewelry for years and I am always looking for was to recharge my collection. When I decided to do something different, I was unsure of what I wanted to do, but knew I wanted to create affordable piece that would appeal to the hip and stylish customers. 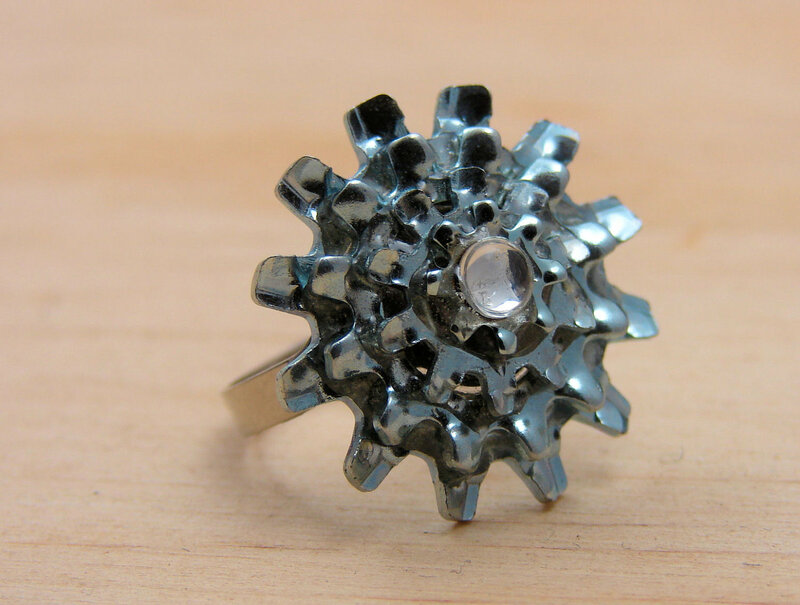 One day while visiting a hardware store I made the connection that the hardware looked like silver and I realized I could create jewelry that looked like silver but was affordable. What do you like about working with hardware that you haven't experienced with silver? When I create my sterling silver pieces I make everything. I start with sheet metal and wire, and make my own chains, ear wires, jump rings, and decorative elements. Working with the hardware is far more challenging, and I really enjoy the challenge. The hardware is already formed in a set shape, so the challenge is to figure out how to create wearable pieces, as well as how to add texture and color. How did you decide to start selling on Etsy and how has the Etsy experience changed your creative style? Back in 2008 (when I started on Etsy) I had knee surgery on both of my knees. I knew I would only be able to do a few shows a year after that and I needed a new outlet to sell my jewelry. A friend of mine told me about Etsy and I decided to jump in and give it a try. 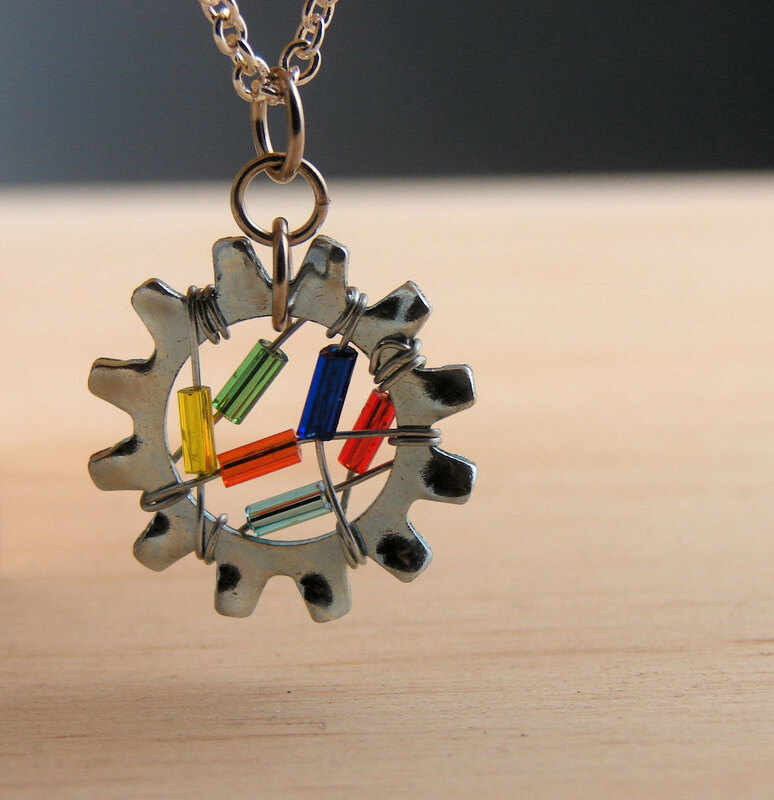 Today Etsy is my top selling place for my recycled hardware jewelry collection. Having an Etsy shop is a lot more work than doing shows. I would have shows on the weekend and have the week to replenish my inventory. On Etsy things move more quickly and I have to stay on top of inventory so I can ship items quickly. I also spend a significant amount of time on the computer promoting my shop, which is more than I have done in the past. Though it eats into my creative time, I have learned to love the marketing side of my business as much as the creative side. In what way is your art eco-friendly? When I started my hardware collection I upcycled several items I found in the hardware store. Today most of the hardware I work with is purchased from a metal recycle center. I put on my old clothes and dig through bins and bins of all different kinds of hardware. I buy my hardware by the pound and then spend hours sorting all my finds. The recycling center is not a pleasant place to shop at, but it is full of wonderful treasures. Do you recycle and upcycle in everyday life? We recycle as much as possible in my house. I love the days when we have more recycling than trash. This is always the goal and we all work hard toward making that happen. Upcycling is a common practice in our house. We use old clothes to make household items such as pillows and placemats, and I like to use old wood and metal for my show displays. Can you take us through the steps of your creative process? The hardware is very inspiring for me. Many of my ideas start at the recycling center while digging through the bins. When I am starting a new collection, I also pull out books and old magazines for inspiration. The tiniest thing can inspire a whole collection. Once I have a basic idea in mind, I head to my collection of hardware and start to play. Seeing all the colors and shapes of the hardware laying on my work surface the ideas start to flow. Some days I get so lost in process of creating that I lose track of time. On your blog (which I love to frequent), you share some outstanding motivation advice. Is it something you draw from experience or it is a way to keep yourself going? Motivation Monday is just as much for me as it is for my blogging community. When I find a good quote or idea, I share it because the message means something to me as well. I am always thrilled when everyone else enjoys the message too. One of my big goals is to grow my blog community and to inspire and motivate other artist to live their creative dream to the fullest. 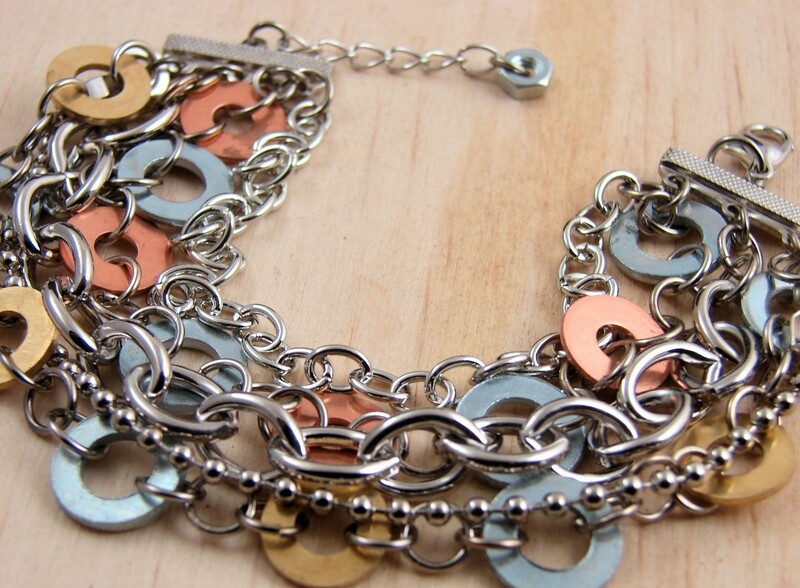 I would also like to keep growing my jewelry collection by finding more recycled materials to inspire me. Janna Tidwell has only a few pieces in her shop, and I would love to have all of them. Her upcycled bamboo art is my favorite. Anny May has a wonderful collection of eco friendly scarves and wraps. I love all the colors and textures in her collection. Etsy has an endless collection of amazing art, and I have to call it home. What a great idea for a series and this interview is so fun! I really enjoyed hearing about her creative process. Happy Monday! I have enjoyed Valerie's blog for a long time and am always inspired by her. Thanks for a great interview! 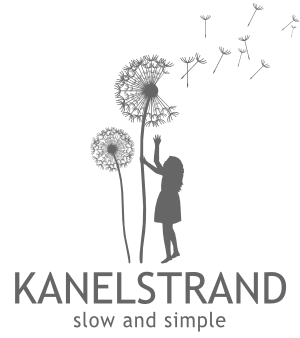 Join the Simple Living Challenge!